The city's tax base will likely experience considerable growth in the near to medium term given ongoing development and a favorable location. Newark, located within an easy commuting distance of New York City, with excellent connections via road and mass transit, has a broad and diverse tax base. After several years of tax base decline, the city saw two consecutive years of growth for the first time since the Great Recession, resulting in a tax base of just over $16 billion in 2017. Management reports a considerable amount of ongoing redevelopment activity, most notably around the Prudential Center (home to the New Jersey Devils National Hockey League franchise) and New Jersey Performing Arts Center but also in other parts of the city. The city also benefits from the port and airport as well as several institutions of higher education including Rutgers (Aa3 stable), Seton Hall's (A3 stable) law school, and NJIT (A1 stable). Newark also has a strong medical presence. The ongoing development is of several kinds. The city is prioritizing a combination of affordable and market rate housing while also making a big push to bring in commercial and, especially national brand retail operations. Towards this end, the city is offering various abatement deals but is endeavoring to ensure that the deals remain financially advantageous for the city. The city is an active partner in the redevelopment efforts and has spent money clearing blighted properties, building and expanding parks, and working to improve infrastructure. The city is the beneficiary of several projects, most notably the raising of the Bayonne Bridge (which gave larger ships access to Port Newark) and the prospective Gateway Project which, if implemented, would improve access to New York City. Notably, while the city benefits, it does not have to pay for these projects. The city's financial position will remain narrow but will continue to improve in the medium term as management continues its push to restore fiscal stability. .. 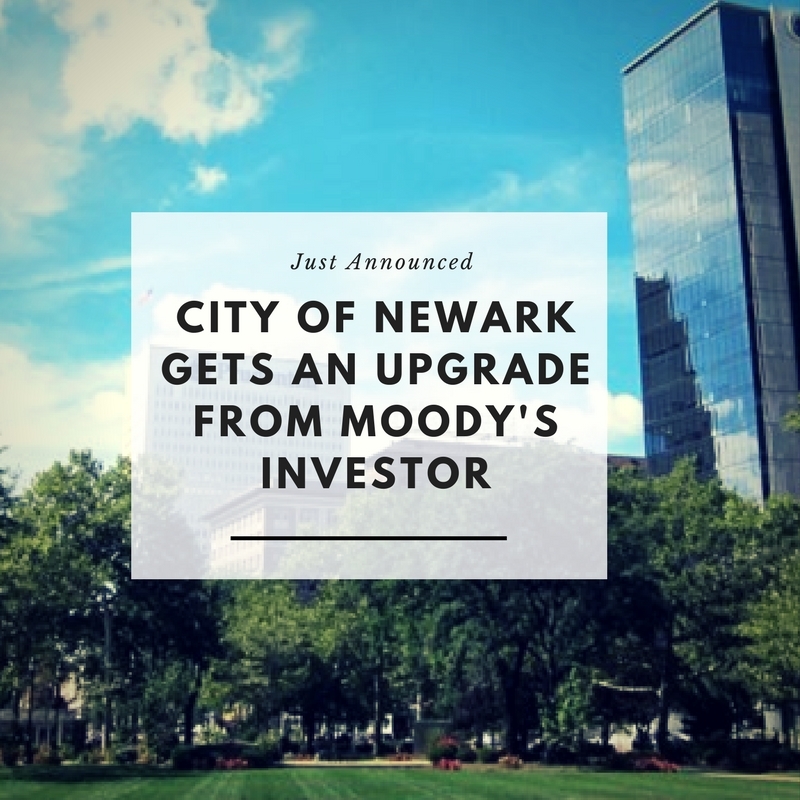 The city's Moody's-adjusted Current Fund Balance increased to $45.8 million (6.9%) in 2016 from $25.6 million (3.8%) in 2015. 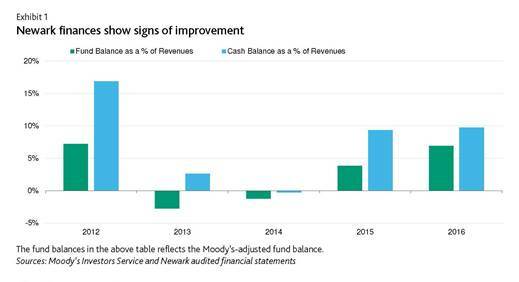 Both the reported and adjusted fund balance figures represent material improvement; in 2013 the city reached a reported low of -$30.1 million (-5.1% of revenues) equal to an adjusted -$16 million (-1.2% of revenues). The city's liquidity is adequate and much improved. In 2016 the city ended with Current Fund net cash of $64.8 million, or 9.8% of revenues, a considerable improvement considering that as recently as 2014, net cash was negative. The city has historically been highly reliant on tax anticipation notes, issuing $55 million in 2016. Favorably, the city reports that it did not need to issue cash flow notes in 2017 and does not anticipate needing to do so in 2018.